Soviet Information Bureau' (Russian : Советское информационное бюро [Sovetskoye informatsionnoye byuro], commonly known as Sovinformburo [Совинформбюро]) was a leading Soviet news agency, operating from 1941 to 1961. Operational summary of 30 March 1945, announcing the route of Army Group Danzig by the 2nd Belorussian Front. During the war, Sovinformburo directed the activity of the All-Slavonic Committee, Anti-Fascist Committee of Soviet Women, Anti-Fascist Committee of the Soviet Youth, Anti-Fascist Committee of Soviet Scientists and the Jewish Anti-Fascist Committee (JAC). In 1944, a special bureau on propaganda for foreign countries was set up as part of Sovinformburo. In 1961 Sovinformburo was transformed into Novosti Press Agency which was succeeded by RIA Novosti and, in 2013, International Information Agency Russia Today. The Jewish Anti-Fascist Committee was organized by the Jewish Bund leaders Henryk Erlich and Victor Alter, upon an initiative of Soviet authorities, in fall 1941; both were released from prison in connection with their participation. Following their re-arrest, in December 1941, the Committee was reformed on Joseph Stalin's order in Kuibyshev in April 1942 with the official support of the Soviet authorities. It was designed to influence international public opinion and organize political and material support for the Soviet fight against Nazi Germany, particularly from the West. In 1952, as part of the persecution of Jews in the last year part of Stalin's rule, most prominent members of the JAC were arrested on trumped-up spying charges, tortured, tried in secret proceedings, and executed in the basement of Lubyanka Prison. Stalin and elements of the KGB were worried about their influence and connections with the West. They were officially rehabilitated in 1988. The radio announcements were performed on Radio Moscow (known for its Wide is My Motherland beeping) by Yuri Levitan. While Radio Moscow always started its announcements with the words "Moscow is speaking" (Govorit Moskva), during the German aggression against the Soviet Union in World War II the broadcasting was conducting from Sverdlovsk (today Yekaterinburg) until 1943 when it was moved to Kuibyshev (today Samara) until 1945. Radio Moscow, also known as Radio Moscow World Service, was the official international broadcasting station of the Union of Soviet Socialist Republics until 1993. It was reorganized with a new name: Voice of Russia., which has also since been reorganized and renamed Radio Sputnik. At its peak, Radio Moscow broadcast in over 70 languages using transmitters in the Soviet Union, Eastern Europe, and Cuba. "Wide is My Motherland", also known as "Song of the Motherland", is a famous patriotic song of Russia and the former Soviet Union. The music was composed by Isaac Dunaevsky and the words were written by Vasily Lebedev-Kumach. The song was first featured in the classic Soviet film "Circus" in 1936. Yuri Borisovich Levitan was the primary Soviet radio announcer during and after World War II. He announced on Radio Moscow all major international events in the 1940s–60s including the German attack on the Soviet Union on 22 June 1941, the surrender of Germany on 9 May 1945, the death of Joseph Stalin on 5 March 1953, and the first manned spaceflight on 12 April 1961. The fall of Kiev was never announced by the Soviet Information Bureau. Russian News Agency TASS, abbr. TASS is a major news agency in Russia, founded in 1904. TASS is the largest Russian news agency and one of the largest news agencies worldwide, along with Reuters, the Associated Press (AP) and Agence France-Presse (AFP). The Anti-Zionist Committee of the Soviet Public was a body formed in 1983 in the Soviet Union as an anti-Zionist propaganda tool. 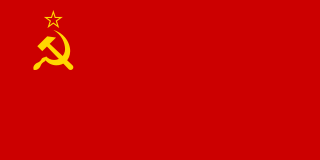 Formation of AZCSP was approved on 29 March 1983 by the Secretariat of the Central Committee of the Communist Party of the Soviet Union in resolution 101/62ГС: "Support the proposition of the Department of Propaganda of the Central Committee and the KGB USSR about the creation of the Anti-Zionist Committee of the Soviet Public..."
The JSCSukhoi Company is a major Soviet, and later a Russian aircraft manufacturer, headquartered in Begovoy District, Northern Administrative Okrug, Moscow, and designs both civilian and military aircraft. It was founded by Pavel Sukhoi in 1939 as the Sukhoi Design Bureau. During February 2006, The Russian government merged Sukhoi with Mikoyan, Ilyushin, Irkut, Tupolev, and Yakovlev as a new company named United Aircraft Corporation. In World War II espionage, the Lucy spy ring was an anti-Nazi operation that was headquartered in Switzerland. It was run by Rudolf Roessler, a German refugee and ostensibly the proprietor of a small publishing firm, Vita Nova. Very little is clear about the Lucy ring, about Roessler or about Lucy's sources or motives. All-Union Radio was the radio broadcasting organisation for the USSR under Gosteleradio, operated from 1924 until the dissolution of the USSR. The organization was based in Moscow. Solomon Lozovsky was a prominent Communist and Bolshevik revolutionary, a high ranking official in the Soviet government, including as a Presidium member of the All-Union Central Council of Soviet Trade Unions, a Central Committee member of the Communist Party, a member of the Supreme Soviet, a deputy people's commissar for foreign affairs and the head of the Soviet Information Bureau (Sovinformburo). He was also the chair of the department of International Relations at the Higher Party School. The Russian Fascist Party (RFP), sometimes called the All-Russian Fascist Party, was a minor Russian émigré movement that was based in Manchukuo during the 1930s and 1940s. Minute of Silence was a joint radio and TV program in the Soviet Union broadcast on at 6:00 pm on May 9, the day of the victory of the Soviet Union in the Great Patriotic war. It was first broadcast on Soviet Central Television in 1965, 20 years after the Allied victory over Nazi Germany. Aside from the minute of silence itself the main part of the program was a solemn address, commonly known as The Minute of Silence, dedicated to all those who fell fighting the Nazi invasion of the Soviet Union. Arnold Meri was a Soviet Red Army veteran of World War II and Hero of the Soviet Union who was charged with genocide for his role in the deportation of Estonians to the inhospitable regions of the USSR. He was the cousin of former President of Estonia, Lennart Meri. At the time of his death, Meri was an honorary chairman of the Estonian Anti-Fascist Committee. Yuri Alexandrovich Bezmenov, known by the alias Tomas David Schuman, was a Soviet journalist for RIA Novosti and a former PGU KGB informant who defected to Canada. REGNUM News Agency is a Russian non-governmental, nationwide online news service disseminating news from Russia and abroad from its own correspondents, affiliate agencies and partners. REGNUM covers events in all regions of Russia as well as neighboring countries in Europe, Central Asia and South Caucasus. Baishnab Charan Parida, was a BJD politician, writer and social activist. He was a Member of Rajya Sabha and represented Odisha. Socialism and secularism are his main mantras. He was elected to Rajya Sabha in July 2010 and his term ended on 1 July 2016. He fought to bring the Odisha Official Language Act, 1954. Media portrayals of the Ukrainian crisis, including 2014 unrest and the 2014 Ukrainian revolution following the Euromaidan movement, differed widely between Ukrainian, western and Russian media. The Russian, the Ukrainian, and the Western media were all, to various degrees, accused of propagandizing, and of waging an information war during their coverage of the events. Russian channels were repeatedly criticized for the use of misleading images, false narratives, misrepresentation, suppression, and fabricated news stories, such as a child's crucifixion and the death of a 10-year-old in shelling. The BBC reported that Russian state television "appears to employ techniques of psychological conditioning designed to excite extreme emotions of aggression and hatred in the viewer", which, according to The Guardian, is part of a coordinated "informational-psychological war operation".